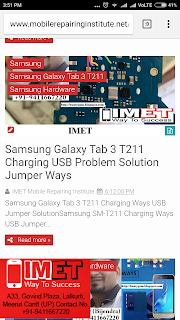 Mobile Repair Tips App Provides you with many cell phone repairing in Hindi tips such as practical troubleshooting, mobile unlocking so that you can learn it and earn money. 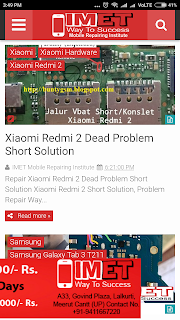 This is a complete mobile repairing app. 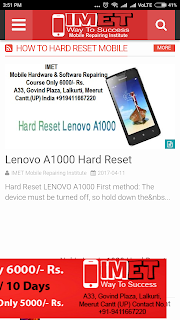 This app also provide step by step guidance on mobile software repair tips in Hindi and flashing. 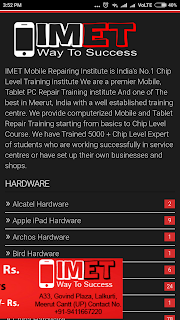 After learning from this app you can also start Mobile repair shop or service center. 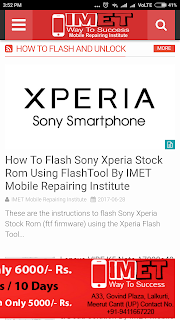 The techniques covers in this app can be applied on various models such as Nokia, Samsung, Sony, Motorola, Spice, Lava, China Mobile solutions. 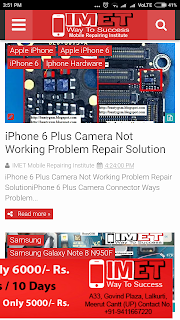 You can also learn How to repair water damage mobile phone.